May your future be happy and bright with the very best that life has to offer. 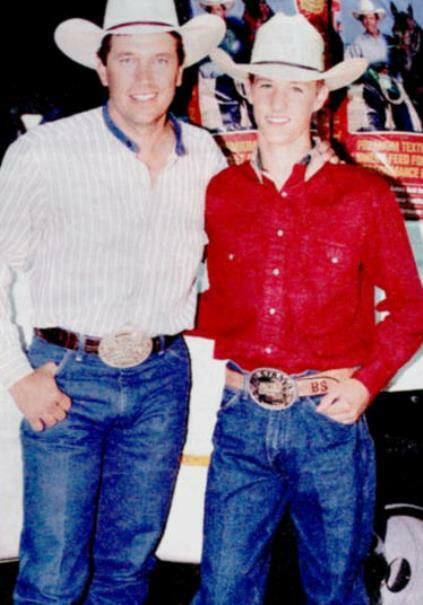 Father and son, at the George Strait Team Roping Classic in 2004. Bubba completed college at Texas A&M, then tried his hand at being a professional team roper. He had the ability, excellent stock to work with, and the support of his parents. He spent 2005 as his first year out on the Roping circuit, learning where he needs to improve to make it to the National Finals Rodeo. 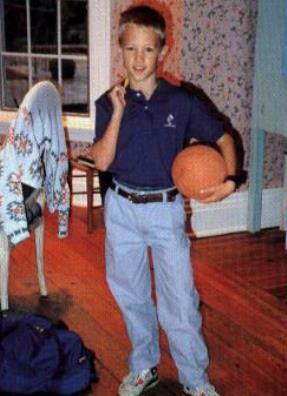 Then he found his calling, and is currently writing songs for his Dad and others, with his Dad, and others. 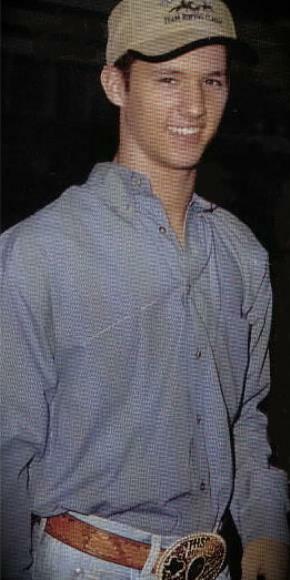 Bubba's college picture. A handsome young man with a lot of intelligence, good humor, kindness, and an easy way of going. 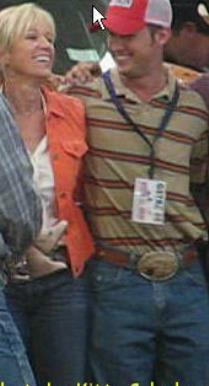 Bubba in the chute for one of his runs at the George Strait Team Roping Classic, 2005. George next to Norma, & Bubba on the right. 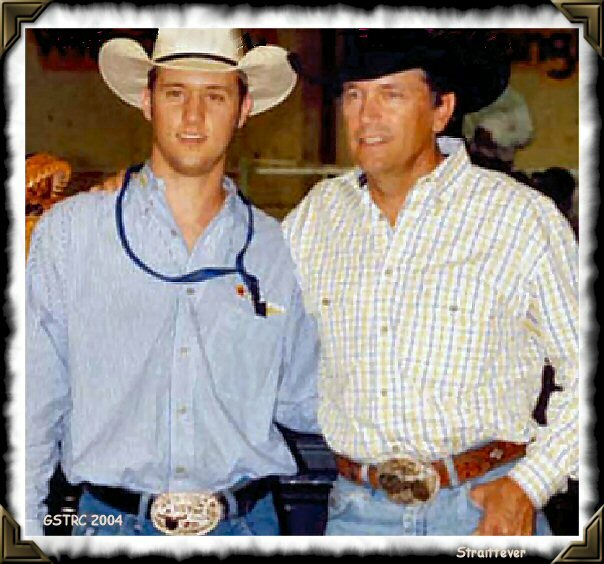 Father and Son; George and Bubba being interviewed by GAC during the George Strait Team Roping Classic, March, 2006. The picture says it all. Following, an awesome picture of Bubba from the GSTRC in March, 2006. 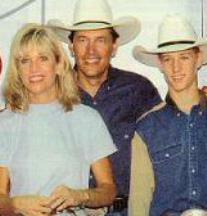 Nashville, TN (July 7, 2009) – George Strait’s “Living For The Night,” the first single from his upcoming album TWANG, hit the Top 15 mark in just three weeks making it one of the fastest rising singles of his career. The song, written by Strait, his son Bubba Strait and legendary songwriter Dean Dillon sits at #15 this week on Billboard’s Hot Country Songs chart and #13 on the Mediabase/Country Aircheck chart. With the debut single racing up the charts, the street date of TWANG has been moved up to August 11, 2009. 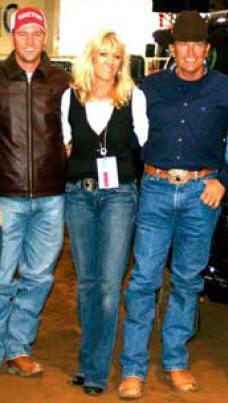 George's son, Bubba Strait, was the sole writer of this Western-styled song. Tony Brown, Strait's producer since his 1981 debut disc Strait Country, said in publicity materials: "That one sounds like a Johnny Cash song to me. I had George's harmony singer, Marty Slayton, listen to how June Carter would harmonize with Cash to get more of that flavor. She nailed it, and it helps make the song sound unlike anything George has ever cut." 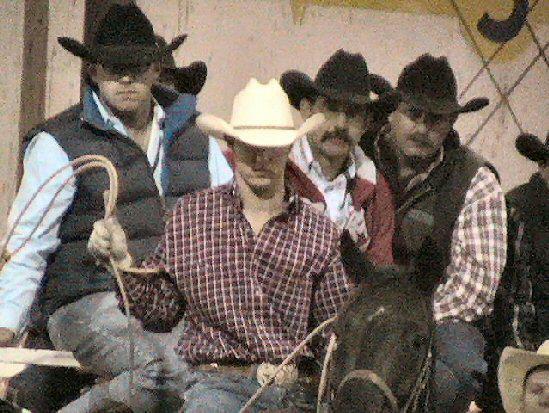 Not only is Bubba a great Team Roper, but like his Dad he is a cowboy at heart. 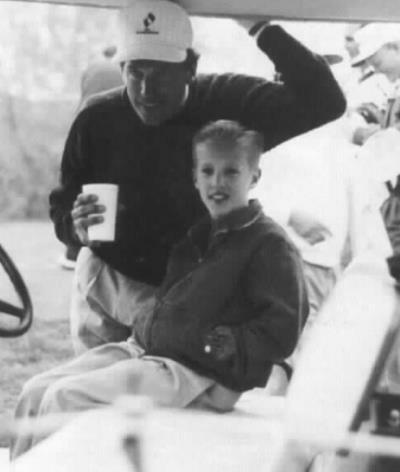 He has motivated George to co-write songs with him, and Bubba has even penned one all by himself. George's new album "Twang" and new single "Living for the Night" introduces the Straits as writing partners. It appears that Bubba has found his own trail in life, and will do well no matter what he wants to do. Congratulations Bubba, and happy trails. George co-writes three cuts here, with his son Bubba and with familiar song partner Dean Dillon. And he does well. George’s son, Bubba, himself is coming into his own as a writer. I especially like his “Arkansas Dave,” which he wrote by himself. It’s a rousing, old-timey, fiddle and guitar saga about killings and horse theft and all the juicy things that country songs used to be about. And it’s even got a shaggy dog ending, the way many of those songs used to end. And George clearly has fun singing it. "Arkansas Dave" is one of my favorites on this album, and reminds me of Cash, and Marty Robbins. GOOD GOING BUBBA! I LOVE IT! George Strait's 38th album is sitting pretty on top of both the country and all-genre album charts today. 'Twang' sold more than 140,000 copies in its first week of release, pushing the late Michael Jackson's 'Number Ones' album to No. 2. 'Twang' is George's fifth album to debut at No. 1 on the Billboard 200. It also marks the first time since 1982 that the superstar has writing credits on a record. 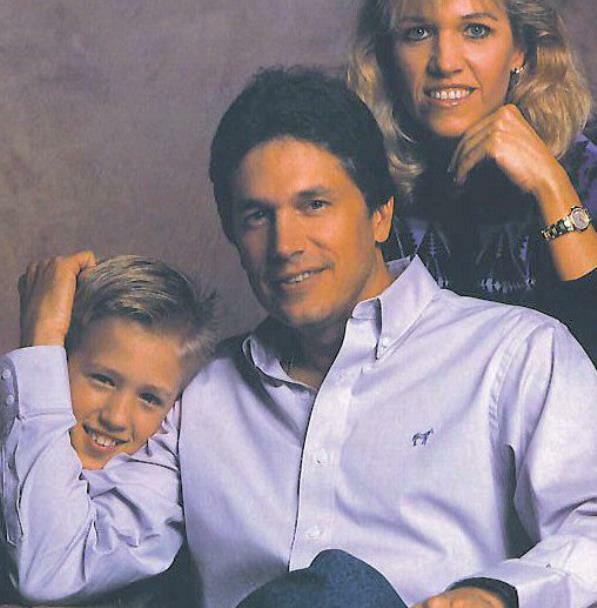 He co-wrote three tracks on the album, including the first single, 'Living for the Night,' penned with legendary tunesmith Dean Dillon and George's son, Bubba Strait. © 2009 Living For The Night Music, admin. by HoriPro Entertainment Group, Inc. (BMI). All rights reserved. Used by permission. International copyright secured. History on 'Arkansas Dave Rudabaugh"
Bubba has a great sense of humor, and a lot of talent. This article was a joy to read. I hope that the trail ahead is full of success and happiness for this young man. 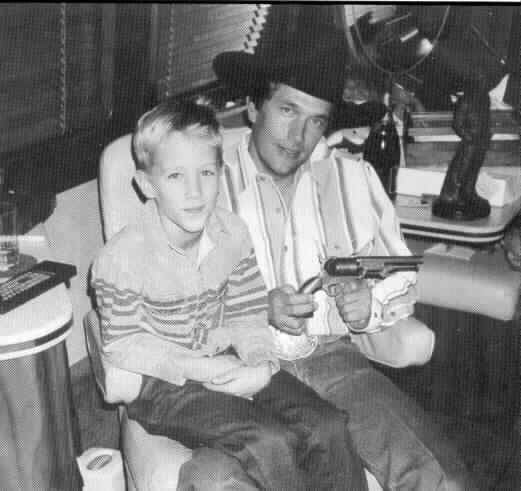 There was a wonderful article on George Strait and his new album "Twang" in the Holiday issue of Cowboys & Indians, 2009. Included was this great interview with Bubba. April, 2013» Great news! 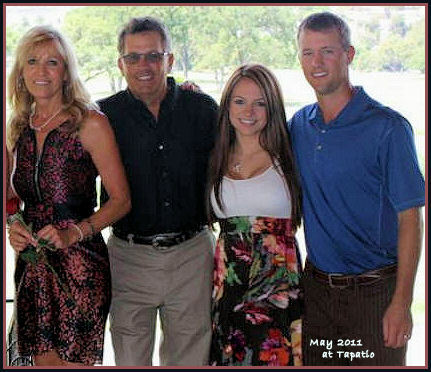 Tamara and Bubba Strait married in December of 2010, and were blessed with a baby boy in February 2012. Norma and George are thrilled to be grandparents. 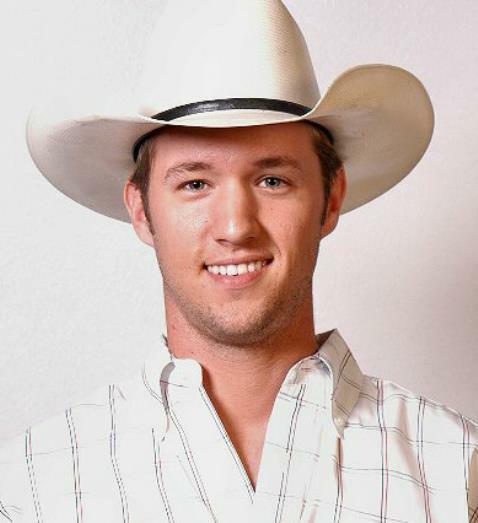 Congratulations to the entire Strait family, and welcome little George Harvey Strait III. George started calling him Harvey, and so that is his name. 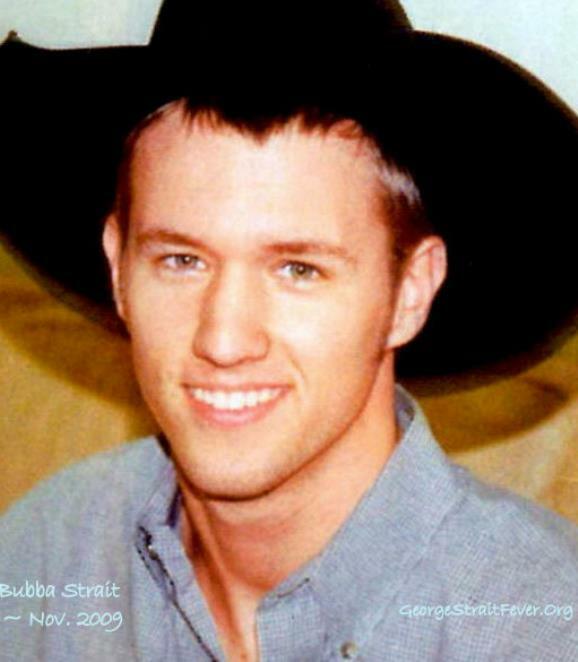 » Bubba co-wrote seven songs on George Strait’s 2011 album "Here For A Good Time" along with Dean Dillon. The reviews have been wonderful. 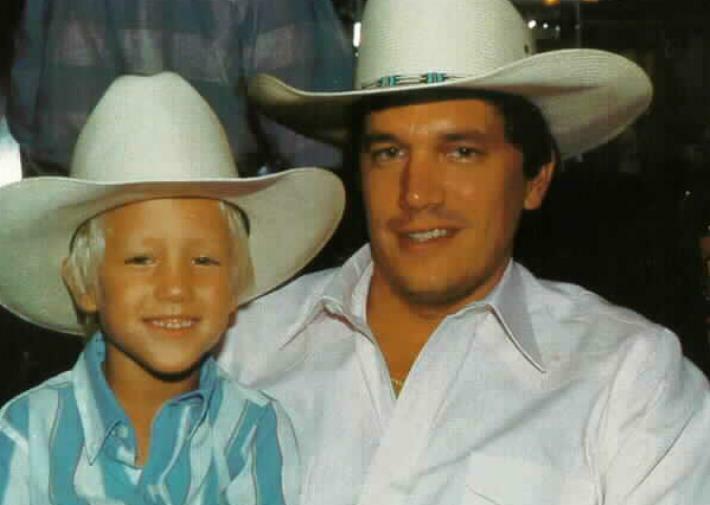 GEORGE STRAIT EARNS HIS 58th NUMBER ONE SINGLE WITH "HERE FOR A GOOD TIME!" 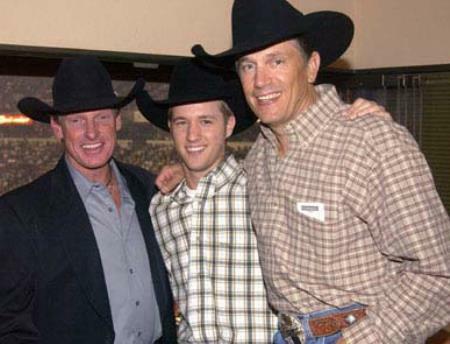 Nashville, TN – George Strait notches his 58th number one single with “Here For A Good Time” – a song he co-wrote with his son Bubba and legendary songwriter Dean Dillon. 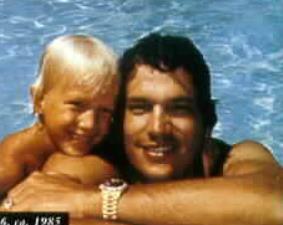 This also marks his first number one as a songwriter (an accomplishment he proudly shares with his son). 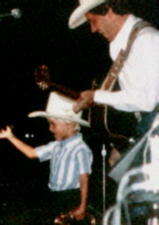 George Strait has the most number one singles of any artist in history including Elvis (58 to date inclusive of all charts). He has had 84 out of 89 radio singles make it to Top 10 (73 of them Top 5 hits). 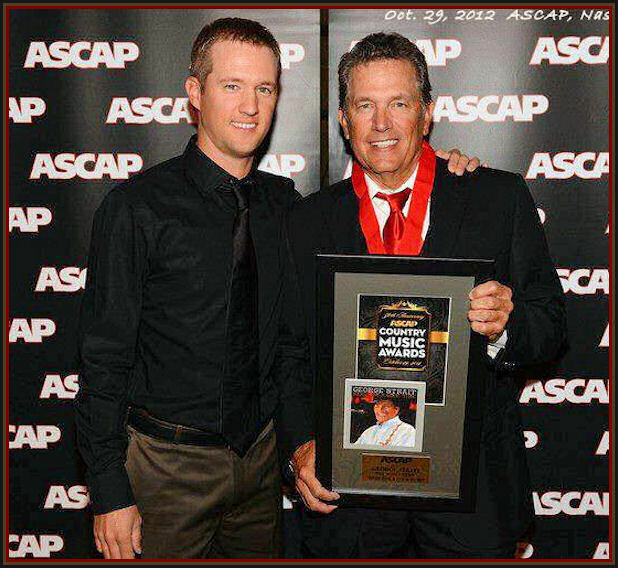 The Texas native has sold nearly 69 million records and with 33 different platinum or multi-platinum albums has the most RIAA platinum certifications in country music and the third in all genres, behind The Beatles and Elvis Presley. Strait was inducted into the Country Music Hall of Fame in 2006. 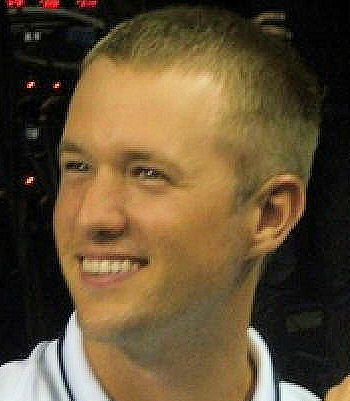 His CD Here For A Good Time debuted at #1 on the Top Country Albums chart and #3 on The Billboard 200 (behind Lil Wayne and Adele). 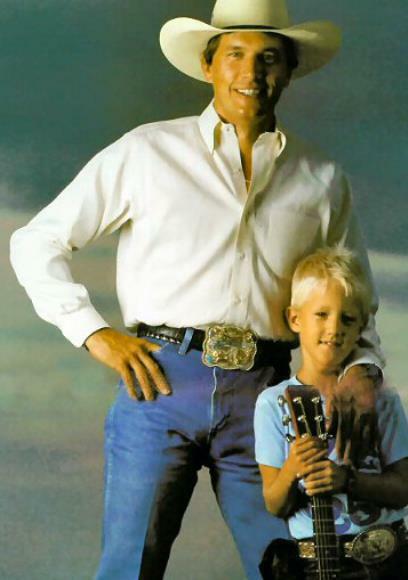 Here For A Good Time is Strait’s eighth consecutive studio album to debut at #1 on the Top Country Album chart and his 24th overall #1 album. Bubba and his family are doing well, little Harvey is running around now, and getting the attention he deserves. Bubba and Daddy George have continued to write together. You can see updates on albums being released and the songs they have written together on the "Cowboy Rides Away" website. The Strait family proudly announced the arrival of Jilliann Louise Strait, a Granddaughter, on September 10, 2016.